COLUMBUS GROVE - Olive L. Daub, 96, of Columbus Grove, died 6:57 a.m. Thursday, September 26, 2013 at her residence. She was born July 6, 1917 in Palmer Township, Putnam County to the late Charles H. and Orel (Wells) Hoover. On December 24, 1937 she married Perry J. Daub and he survives in Columbus Grove. They were recognized as Ohio's longest married couple in 2012 and this week reached 75 and 3/4 years. She is also survived by 5 children: Charles (Marilyn) Daub of Northfield, Nancy McQuillen of Huron, Jan (Amparo) Daub of Houston, TX., Peggy (Jeff Cooper) Daub of Ann Arbor, MI., and Mary (Harry) Miedema of Parrish, FL. ; 9 grandchildren: Julie (Lawrence) Kizlik of Eastlake, Paula (Greg) Moeller of Delaware, Randy (Shar) Daub of New Waterford, Christopher (Beth) McQuillen of Sandusky, Megan (Mark) Grippi of Aurora, J.P. (Amber) Daub of Hallsville, TX., Alan Daub of Atlanta, GA., Sergio Daub of Austin, TX., and William Cooper-Daub of New York, NY; 17 great-grandchildren; and a sister: Helen (Weldon) Frysinger of Napoleon. She was also preceded in death by 2 brothers: Cecil and Herbert Hoover; a sister: Ethel Wagner; and 2 sons-in-law: H. Michael McQuillen and Thomas Clay. Olive was a homemaker and partner in Daub Builders where she kept the books. 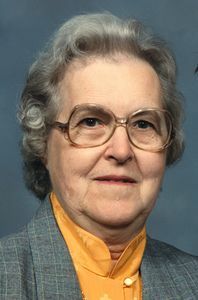 She was a member of Trinity United Methodist Church, Ottawa and a member and past president of United Methodist Women. She was also a member of the Altrua Club. Olive was a 1934 graduate of Miller City High School. Family always came first for Olive. She worked hard her whole life, beginning on her parents’ farm, then keeping books at a tile mill in Continental, raising her family, and running a business with her husband. She was good at math and loved word games, and was an excellent organizer. She made sure all of her children got a good education. She started all of her children on music lessons at a young age. Mom and Dad enjoyed being snowbirds and spending winters in South Texas for a number of years. After living and raising their family in Ottawa for over 50 years, Mom and Dad cleared out their attic and moved to a new home in Columbus Grove in 1997, where they enjoyed meeting new friends. Funeral services will be 11:00 a.m. Monday, September 30, 2013 at Trinity United Methodist Church, Ottawa with Rev. Lynda Lockwood officiating. Burial will follow in Monroe Cemetery, Continental. Visitation will be from 2 to 5 p.m. and 6 to 8 p.m. on Sunday at HEITMEYER FUNERAL HOME, Ottawa and one hour prior to the service on Monday at the church. Memorials may be made to Trinity United Methodist Church, Ottawa. Condolences can be expressed at: www.heitmeyerfuneralhome.com.